The Irish prime minister has given a sharp warning to the UK government that it may block progress in Brexit negotiations, while the two countries’ foreign ministers also clashed in Dublin over the border issue. The Taoiseach (prime minister) Leo Varadkar said on Friday that his government was firmly fixing its demands over the frontier between Northern Ireland and the Republic, to the question of when Brexit talks can move onto trade. Speaking in Gothenburg at a European summit, he demanded written commitments to back up assurances from Britain that there would be no return to a “hard border” with physical infrastructure. “We want that written down in practical terms in the conclusions of phase one,” he said. “Before we move to phase two talks on trade, we want taken off the table any suggestion that there will be a physical border,” he added. Varadkar met Theresa May in Sweden, where the British prime minister used the summit to try to break the deadlock with other EU leaders over the Brexit talks. Meanwhile in Dublin, British Foreign Secretary Boris Johnson and his Irish counterpart Simon Coveney held an amicable and occasionally jokey news conference – but remained far apart on key issues. The United Kingdom’s departure from the European Union will leave one side of the border in the EU and the other outside. “We’re not gonna try,” Johnson echoed, to amusement. The UK foreign minister said he understood “the sentiment” behind the Irish position, but believed a much shorter transition period was possible than Dublin wants to see. “What we would like to do is get on as fast as possible with the meat of the negotiations, get the real conversation going about how this is going to work, really start digging in to the detail about the border issues, the customs union, all those issues which are bound up together and which really part of stage two of the negotiations,” Johnson said. 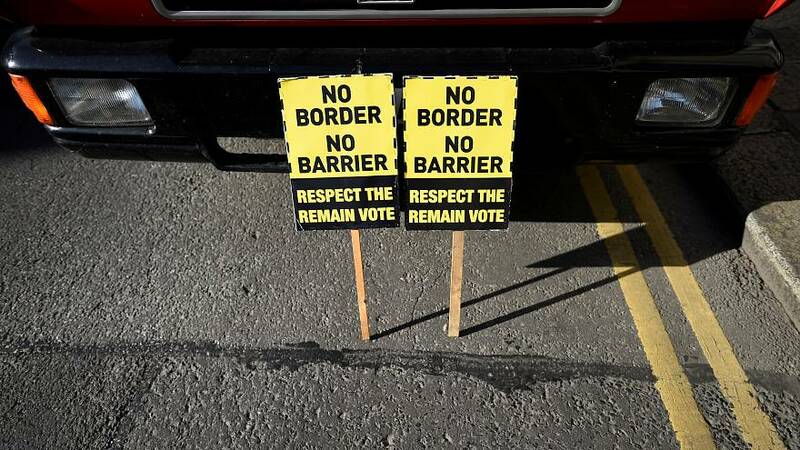 The British position – that the border question and future trade are inextricably linked – appears as much as ever to be at odds with Dublin’s stance and that of other EU leaders. In Gothenburg, Leo Varadkar issued a reminder that Britain had “unilaterally taken the customs union and single market off the table”. The Irish prime minister was also scathing about UK politicians who had backed Brexit: “sometimes it doesn’t seem like they have thought all this through,” he said. European leaders must decide whether “sufficient progress” has been made on priority issues – the UK’s financial settlement, citizens’ rights and the Irish border – before talks can move onto trade. If the green light is not given at an EU summit in mid-December, the talks may remain stuck until the next European Council meeting in March.